There’s so much baking in the run-up to Christmas that I rarely worry about the centrepiece dessert for the actual feast. A generous selection of cookies, bars, and fudge is more than enough to keep me happy. I like to graze amongst all the choices, and then settle down with a heaped plate and nibble each item up, one by one. 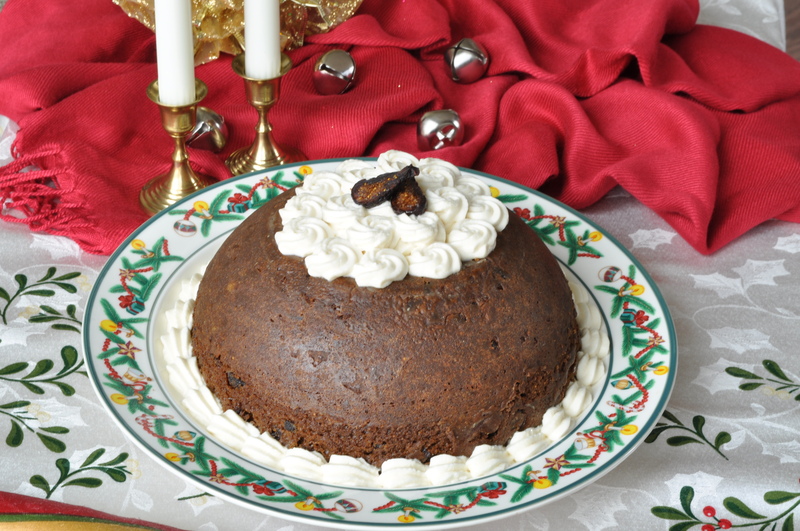 I suspect most Americans have never tried figgy pudding, which might be why they don’t sing that part of the song. Once tasted though, this is a pudding anyone would be glad to sing for! 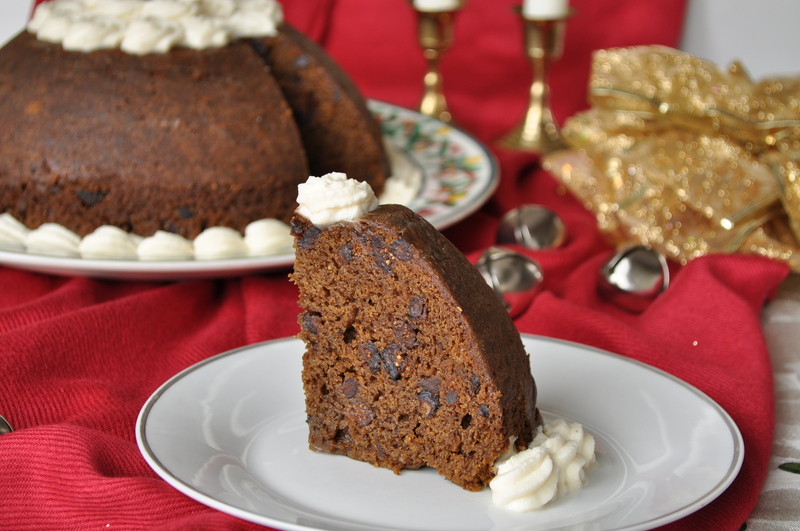 I love the moist tenderness of steamed puddings, and their rich, spicy flavours. But the long list of dried fruits required to produce a traditional Christmas pudding always dampens my enthusiasm a little. I like long, complicated recipes, but not long shopping lists. 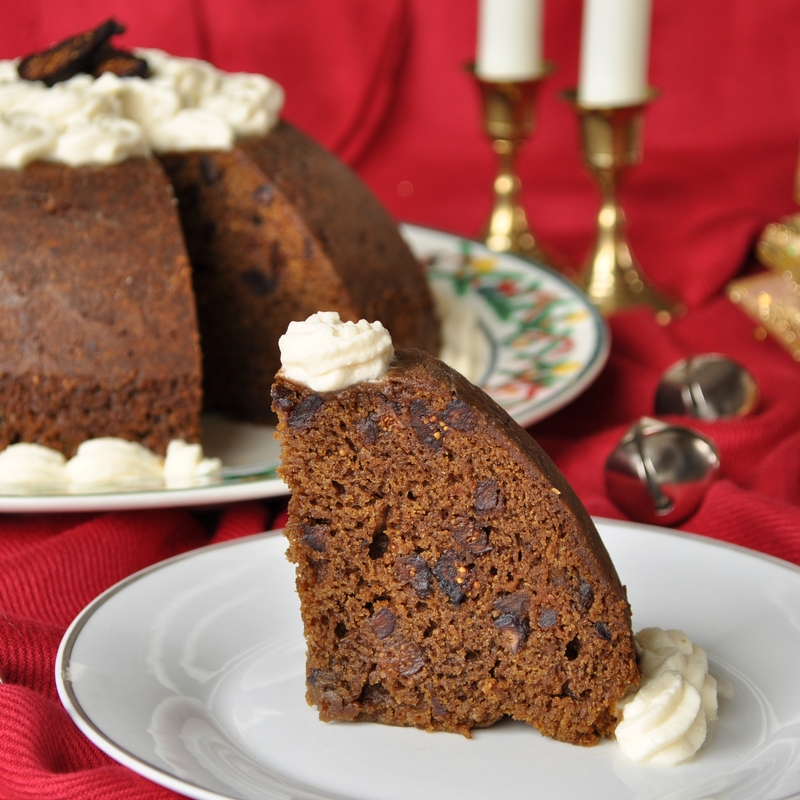 A figgy pudding, which only demands one type of dried fruit, seems the perfect solution. You still get all the spice and citrus and dried fruit flavours (and a pleasant little spike of rum), without being left with the odds and ends of half a dozen bags of dried fruit cluttering up the cupboard. The recipe comes from my own cookbook, actually, and I remember the photo shoot very distinctly. It was a beautiful sunny day in the middle of April and a handyman had come over to repair a broken hinge on our dishwasher door. So there he was, kneeling on the kitchen floor with his toolkit, and there I and my figgy pudding were, on the other side of the room, with camera and tripod and a heap of Christmas decorations–bows, candles, platters, etc.–spread out around me. I couldn’t help wondering what he thought of it all! I now know how the staff of food magazines feel, when they’re testing the recipes for the December issue in June. And you know what, it doesn’t matter what time of year it is, Christmas is always wonderful. But of course it is best in December, celebrating along with all your neighbours and friends–and yes, even all the retailers. So bring us some figgy pudding! I am submitting the recipe to Supergolden Bakes lovely Cook, Blog, Share event. 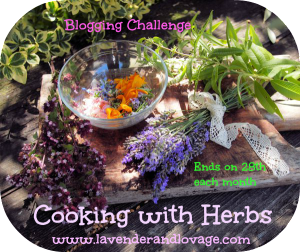 I am also linking up with the special Sugar and Spice Cooking with Herbs challenge, that Karen of Lavender and Lovage is hosting for December. And finally I am linking up to the Christmas-themed Baking With Spirit over at Cake of the Week.
. . . a dessert that most emphatically shows the British influence on Bucks County cuisine. I’ll never understand why steamed puddings have fallen out of favor on this side of the Atlantic. They have a moist, yet cakey, crumb that is such a pleasure to sink a spoon into, especially if a pool of softly whipped cream is melting over the warm slice of pudding. Heavily grease and flour a large, heatproof bowl. Place the figs in a microwavable bowl and pour in the orange juice and rum. Microwave on full power for 2 minutes to soften the fruit. In a large bowl, whisk together the molasses, milk, melted butter, and brown sugar. In a separate bowl, sift together the flour, salt, and spices. Dissolve the baking soda in the hot water and stir it into the liquid mixture. Add the dry ingredients and mix thoroughly. Tip in the figs and soaking liquid, and fold to distribute them evenly throughout the batter. Pour into the prepared heatproof bowl. Bring a few inches of water to a simmer in a deep, wide stockpot with a tight-fitting lid. Place a steamer insert (or something else high and sturdy enough to keep the pudding bowl suspended above the water) in the simmering water and balance the bowl on it. The water should not touch the bottom of the bowl. Cover tightly and steam for 3 hours. Check the water level occasionally and add additional water if necessary. Remove the pudding from the pot, very carefully because of the steam, and invert it onto a serving platter. Serve warm or at room temperature with whipped cream. Ooh this looks gorgeous. I haven’t had figgy pudding in a very long time. I was hoping there might have been some chocolate hidden away, so it would make We Should Cocoa too. Oh, I know! When I saw that We Should Cocoa was figs this month, I was sorely tempted to fiddle around with the recipe and add in some chocolate–but the traditionalist in me won out. That seems to happen much more to me around Christmas time, I admit! 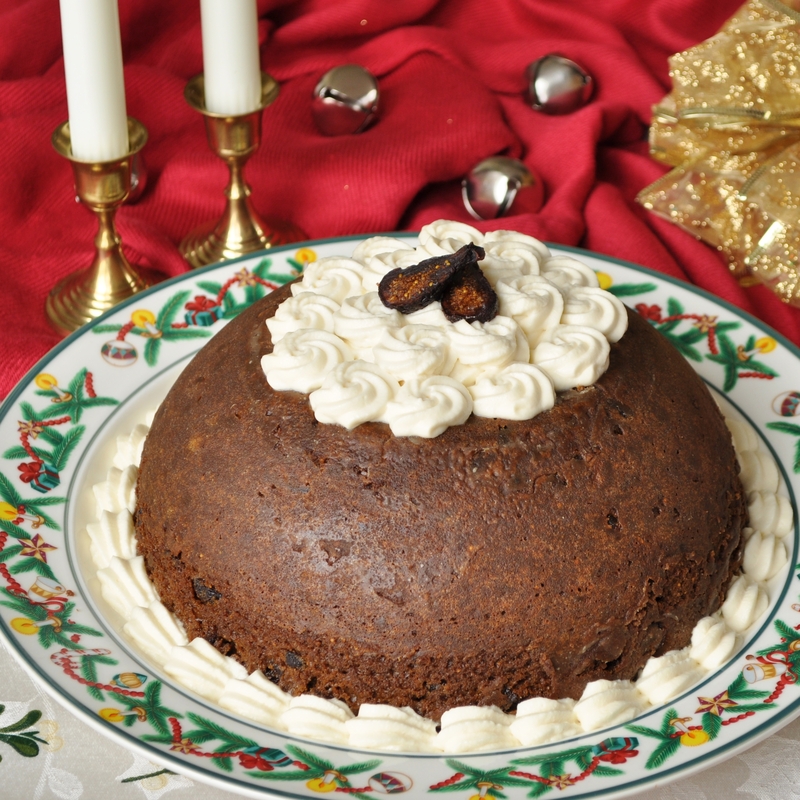 I have to admit that I have lived in the UK my whole life and have still yet to try figgy pudding. I do like figs and steamed puddings though (but in my opinion they go best with custard! ), so I’d like to try this. Thanks for bringing it to my attention – I now have the “we all want some figgy pudding” verse stuck in my head. Thank you for entering Baking With Spirit as well! Yes, custard is definitely a good fit for this pudding. But this Christmas we’re eating it with Cointreau double cream–it was on sale at Waitrose, so Mum brought home two pots of it. I think it will be heavenly! Can’t wait . . . 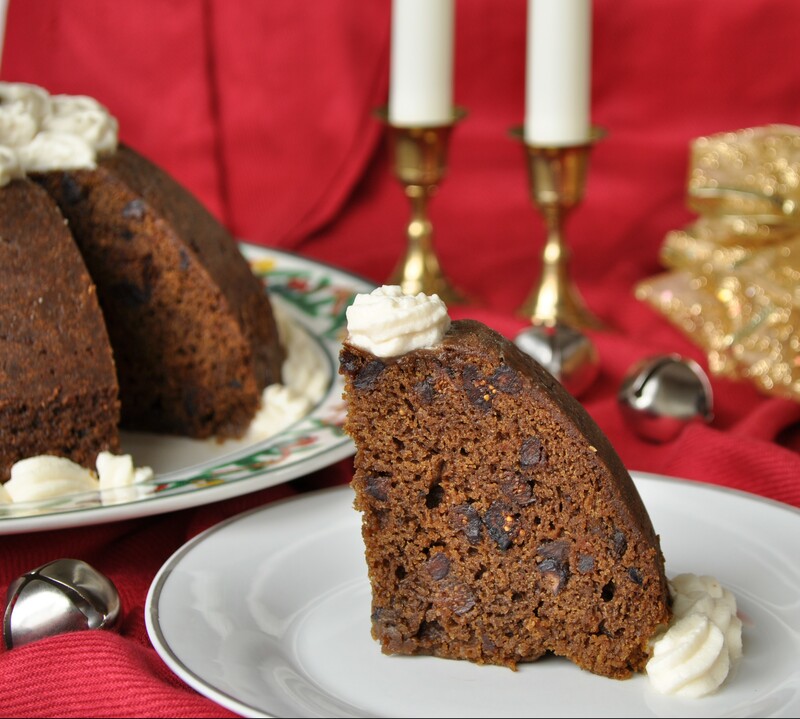 I must admit I don’t really like Christmas pudding but you are quite convincing… Shooting Christmas pudding in April – yup definitely sounds like a book shoot! 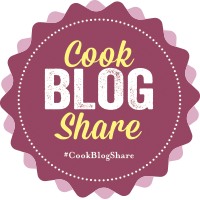 Thanks for linking to #CookBlogShare and a very happy 2015! It certainly was the most memorable shoot for the book–rather fun actually.